Chances are the thought that is going through your mind is . . . ."Wow, I've never seen anything like that in leather!" 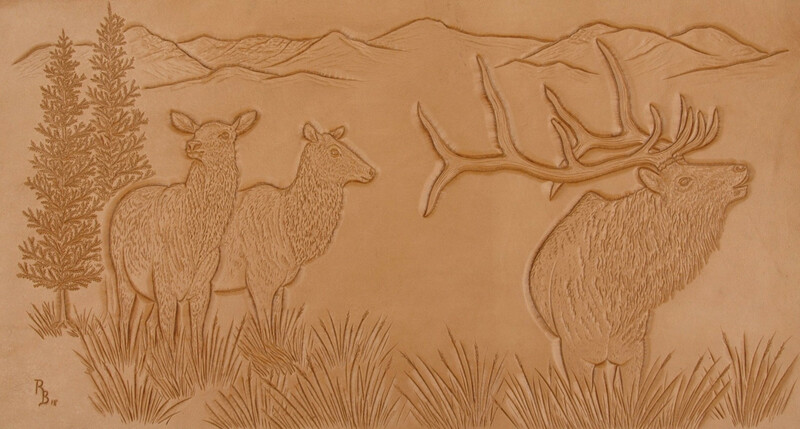 If that is what you are thinking, you are right - we haven't seen anything like this carved in leather either. Having worked in the leather medium creating hundreds of pieces of art in the custom belt format, we have come to appreciate the qualities of leather with respect to color, depth of field and detail. 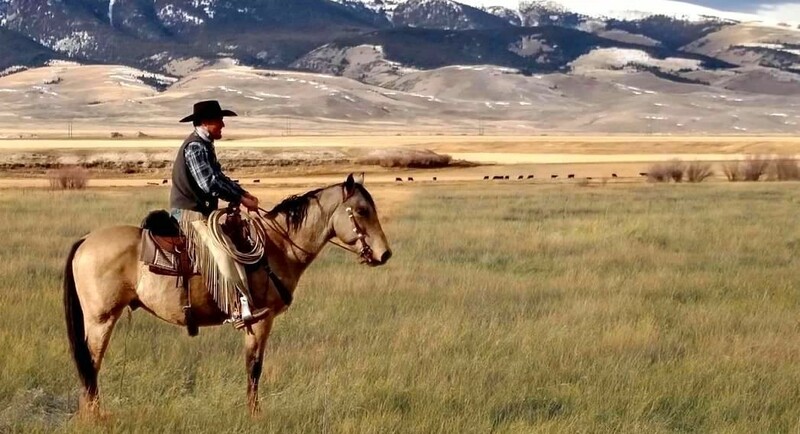 Roland Briggs grew up enjoying each experience he had hunting, fishing, and riding horses in the back country of southwest Montana and western Wyoming. From these experiences he has developed a love and passion for wildlife and scenery, which he is able to express through his art. 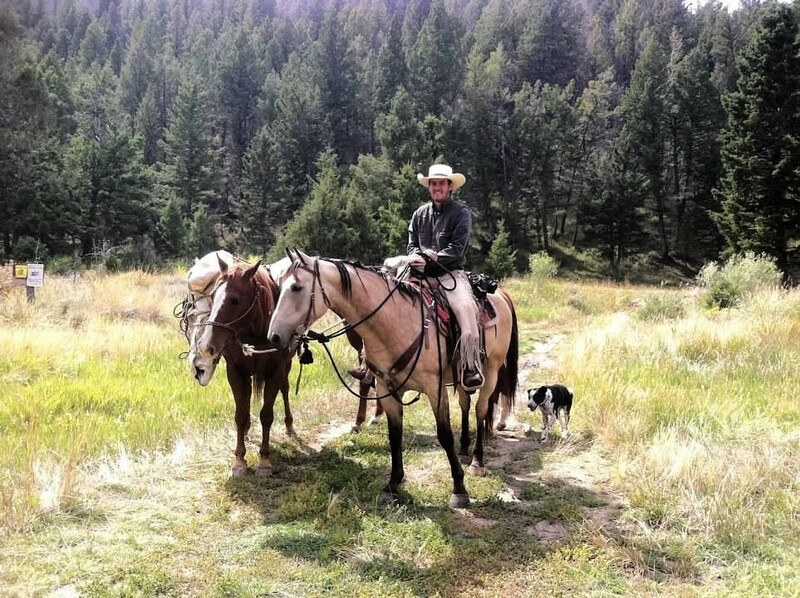 Just out of high school, Roland started to work full- time at Lone Tree Leather Works as a belt maker. Leather quickly became his favorite medium to work with and a perfect match for his style of art. 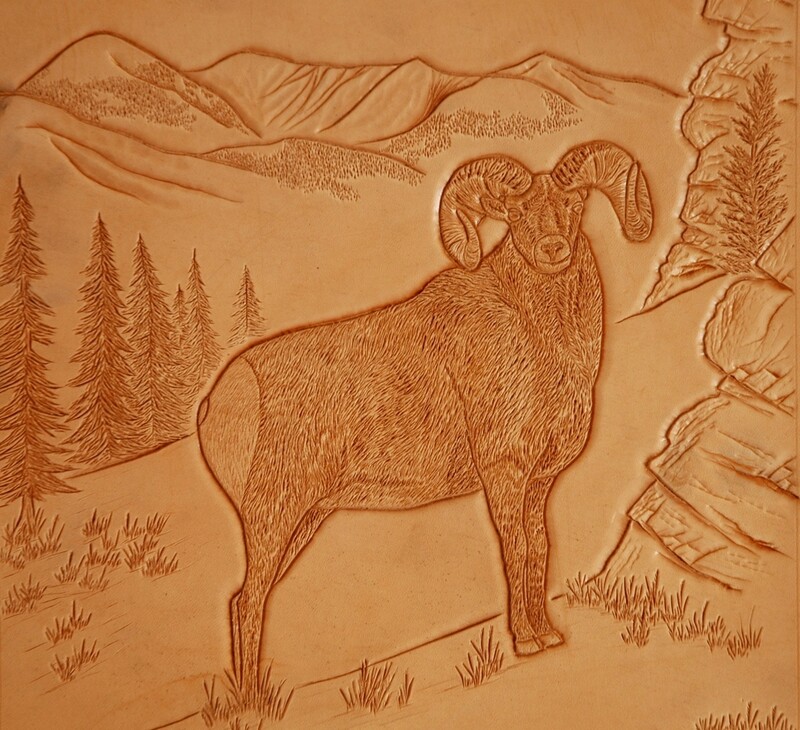 The custom belt art and wall art begin early in the years of Lone Tree Leather Works with a request for an Alaskan themed belt. With a lot of friendly prodding from Dad, Roland was eventually convinced to team up with him on the project. They put together a nice belt that the customer was very pleased with. This experience was evidence enough for Roland that there was a real interest for these unique types of belts and wall art pieces. It also gave him the confidence he needed to get started. Now after years of practice and experience, Lone Tree Leather Works is able to provide you with a truly unique and rare treasure. It allows you to express your passion and love for the outdoors and wildlife on durable leather that will last for years to come. Because each piece is hand-carved and stamped, no two are ever exactly alike - providing you with a one of a kind piece of art personalized to you. 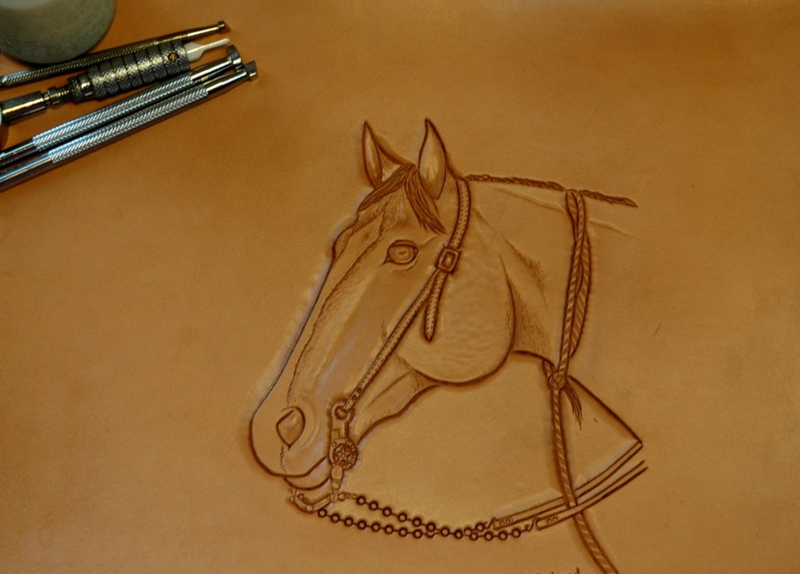 Our son Roland has been developing his gift for sketch art on custom leather belts in a 1" width format with amazing results. Be aware that leather is completely unforgiving - these images are created with individual knife cuts. One mistake hours into the project and its time to start over. These pieces will be collectors items without any question simply due to the fact that artwork of this quality is very rarely, if ever, carved into leather on a large scale. Even more unique will be Roland's particular style; this young man has a lot of years of leather carving in front of him so why not take advantage of this opportunity to get in on the ground floor with a signed and dated copy of your own particular project? If you are interested in commissioning Roland W Briggs to create a piece unique to your interests in western wildlife or horses, please click HERE or give him a call (406) 925-2144.